Epilators are used for pulling out the hair from the root. It is different from shaving or trimming as during the shaving, the hair is trimmed but while using an epilator, the hair is pulled out from the skin. This is a product which is basically used by women and it is an alternative to waxing. There are several different epilators available in the market, some can only be used with a moisturizer and some can only be used on dry skin. 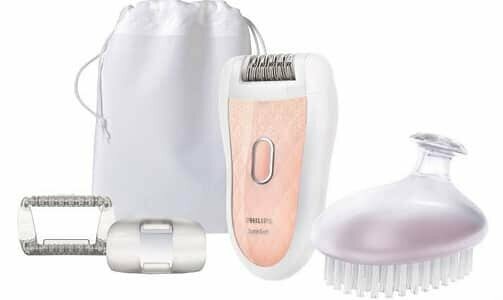 Purchasing an epilator is never an easy job and hence in this article, we have listed some of the best epilators available in the market. But before you make a buying decision, please consider your preference and the type of epilator you want as your requirements may differ which can impact the buying decision. Read along as we look through the ‘6 Best Epilators for Women in India with Price’. Philips is one of the best brands which is available in Indian market for person grooming appliances. The epilator comes with a 2 year warranty and a transit insurance. This is a corded epilator but the epilator also comes with a massage attachment and the epilator has 2 speed settings. Apart from this, the epilator comes with a cap, exfoliating brush and cleaning disc. Panasonic is another famous name in these types of products and the epilator comes with the three replacement heads. The epilator also has a tweezer blade system which basically helps in removal of the tiniest hair on the body. This epilator also comes with a two year warranty from Panasonic and the warranty is coupled with a free transit insurance. Braun is another reliable brand when it comes to Epilator. The epilator can remove the hair from the area which is hard to access and at the same time, the epilator can remove the hair of any length. In addition to this, the epilator comes with a two year warranty. 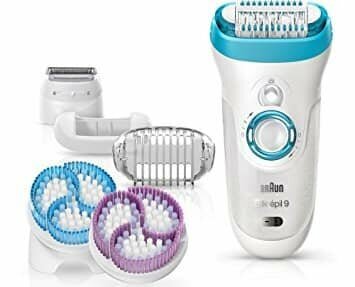 Next on our list is another product from Philips and the first most important advantage of this Epilator is that it is cordless which is of great help while epilating. The machine comes with 5 more accessories and battery of the epilator is quite durable as well. On the second rank, we have another epilator from Philips and the epilator is also a cordless epilator. In addition to this, this is a waterproof epilator and it comes with 8 more attachment. Philips also offer 2 years of standard warranty on the epilator along with the transit insurance. 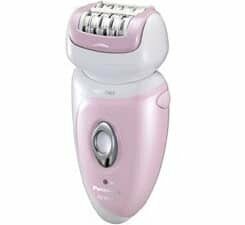 On the first rank, we have another epilator from Braun and this epilator is also cordless and waterproof. The epilator also exfoliates the skin of the user and the machine features a micro grip tweezer technology which makes it the best in the segment. The epilator comes with 6 attachments. How to Choose a Right Epilator for You? Over time, epilators have gained a lot of popularity and there are many different types of epilators available in the market. With this, it has become really important to choose the right epilator for yourself. Here is a short buying guide so that you choose the best epilator for yourself. Brands – While you might not give importance to brand but we would still suggest you to purchase an epilator from a well-known brand. You must also check out the reviews of the products and purchase the epilator from trusted site or retailer. Budget – You also need to decide the budget before you start looking for the epilator. The price range can vary largely so setting up a budget will help you in narrowing the search. Purpose – Also try to judge the purpose of your usage. This will help you in again selecting the epilator. For example, if you want an epilator for sensitive skin then you need to check for the products specification as well as speed settings. Number of Tweezers – The number of tweezers matters a lot and you need to check how many tweezers does an epilator has. The higher number of tweezers is not always better but this is one factor that you must consider. Mode of Power – There are broadly two classifications here. One is the corded one and the other is a cordless Surely, the cordless ones are easier to use but they can cost more as compared to the corded ones. Trimmer Head – Check for the attachments that you are getting and also check if the epilator has a trimmer head. Trimmer head can prove to be really handy. Consider these factors and you will surely be able to purchase the best epilator to match your needs. Well, that’s all from us on this one. We will be back with another one in the nearest future. Stay tuned.